A session of blackjack online is always a highly entertaining choice, but to get the ultimate experience it’s recommended that you play the live version. You’ll then experience the same lovely atmosphere as you would with a visit to a real land based casino. You’ll find real blackjack tables and dealers that will interact with you and other players at the table. 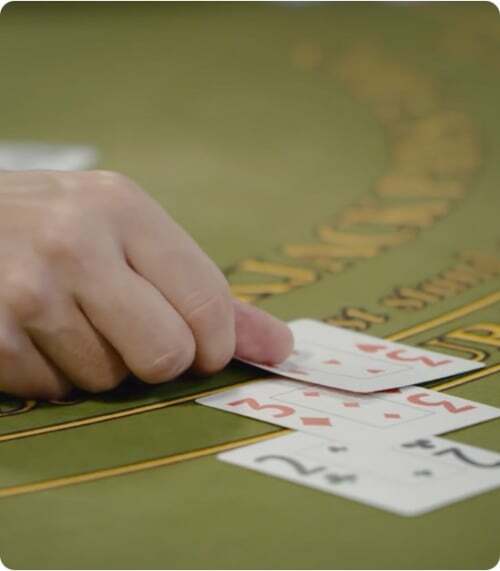 With the use of a high definition stream, you’re simply getting an authentic blackjack experience with the added benefit of comfort as you’re able to enjoy it wherever you are. 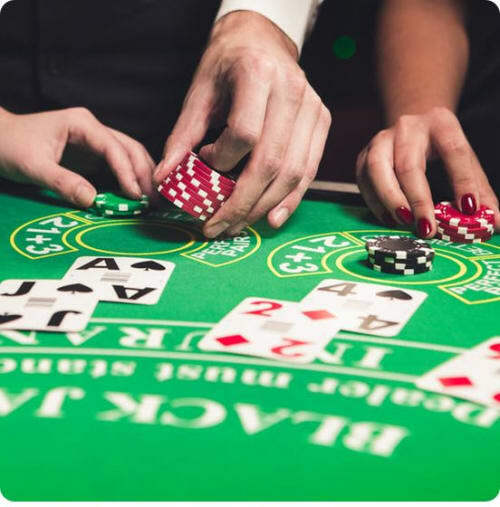 There are a couple of different operators that offer a live blackjack experience, but the two most recognized ones are NetEnt and Evolution Gaming. NetEnt is one of the biggest names in the world of casino and a company that’s been providing gaming solutions for more than 20 years. Their live casino platform was not introduced until 2013, but they have since then expanded to support more than 25 different languages and currencies. In addition to the most common version of live blackjack, which has room for seven players to be seated at the table, NetEnt is offering a one of a kind version that is called live common draw blackjack. In this version, an unlimited number of players simultaneously play the same hand. All players have the possibility to make their own choices, but cards will continue to be dealt as long as someone is requesting one, even though you have chosen to stand. These cards will however not affect your hand in any way, but only affect those players who have requested the cards. This live experience of blackjack is a bit different than the regular one as every player has the same starting hand. It also isn’t possible to see what choice each and every player is making. There is however an overview that shows the percentual distribution of the choices made on each hand. Evolution Gaming was one of the first companies to offer a live casino platform, which they did 2006. With several years of experience in the industry they’ve managed to collect numerous prizes, such as seven years in a row being awarded the title of the best live casino operator. In addition to the normal live blackjack, Evolution also offers a special table for all the party people. Here you’ll find a more easy going atmosphere with several dealers at the table talking to each other, while music is being played in the background. Play Live Blackjack on Mr Green! NetEnt and Evolution Gaming both provide a high quality live blackjack experience with professional dealers, high definition video streams, exceptional sound quality and perfect support for mobile devices. There are however a few things that separate the two of them. At NetEnt’s tables you’ll find statistics over the dealer’s ten last hands, as well as an overall statistic over all the players’ last hand, which is something that Evolution doesn’t have. They also offer the live common draw blackjack version, which is exclusive for NetEnt. Even though Evolution don’t have their own blackjack version where an unlimited number of players take part in the same hand, their tables offer the possibility to bet behind other players. This makes it possible for you and others to bet on other players’ hands even though not being seated at the table. Evolution also offers the possibility to make pre-decision, which means that you don’t have to wait on other players making their decision before you can make yours, which you always have to at NetEnt’s tables. Lastly, Evolution have support for up to four different live casino tables being played in the same window, where a new table is easily added from the current one. This feature is something that NetEnt currently doesn’t have. Join and take part of your welcome offer!